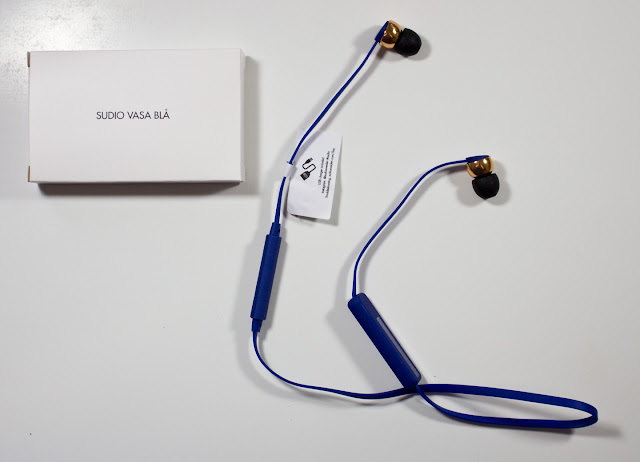 These Sudio Vasa Blå - Wireless Freedom Bluetooth Earphones retail for $110US and 140CAN with free shipping. 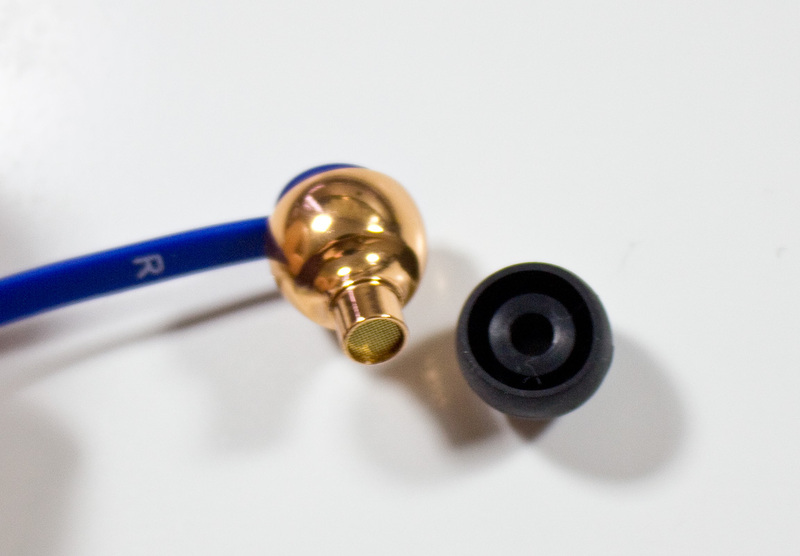 I'm testing this with my iMac from 2008 and my 2010 MacBook Pro, they're old but these earphones did work with them! vicinity of the computer for apple products it should register the device. If your machine is older you might have to open your Bluetooth setting and hit the +(plus) button to have your computer do a search for a new device. 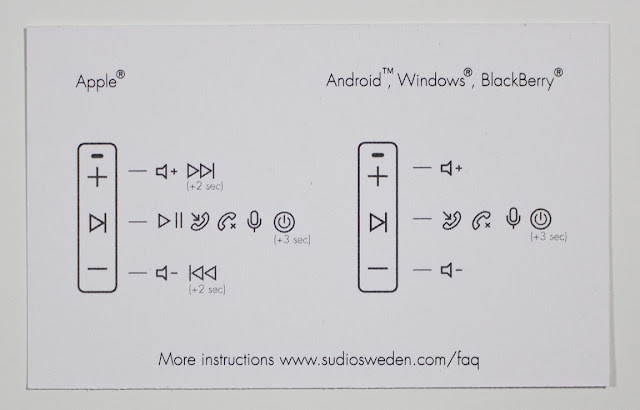 You then have to set up the options by clicking the gear and select Use as Audio Deice (Stereo). For me, it would not work until I selected this option with my older computers. So long as it's turn on it will alway ask if you want to use it (message similar to the one above ) and these setting don't need to reset. 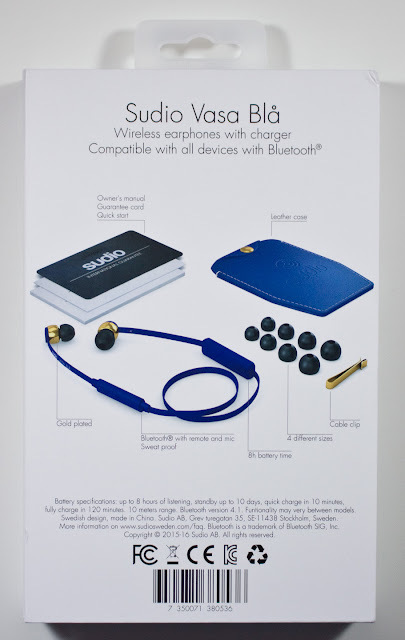 Sudio Vasa Bla in a separate product case. 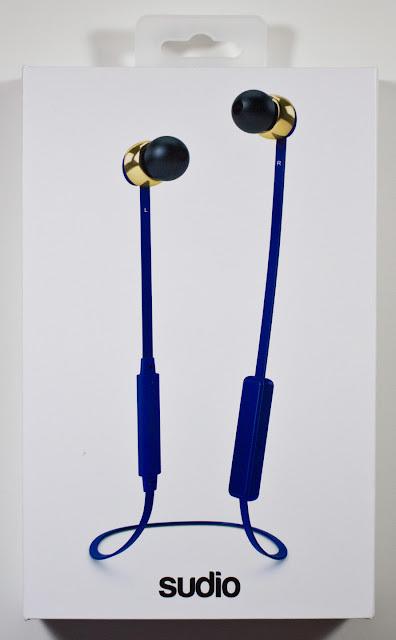 The metal part of the speakers is called a rose gold shade but it more like a brass gold to me. One thing I love about these is the flat cable the feel more study that a traditional round cable and the lay flatter to the side of your face. 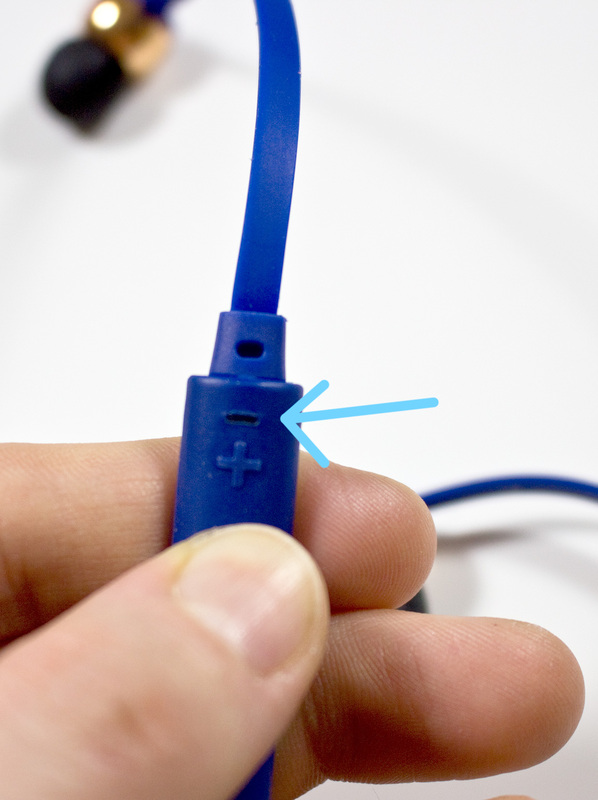 Speaker with removed ear bud. 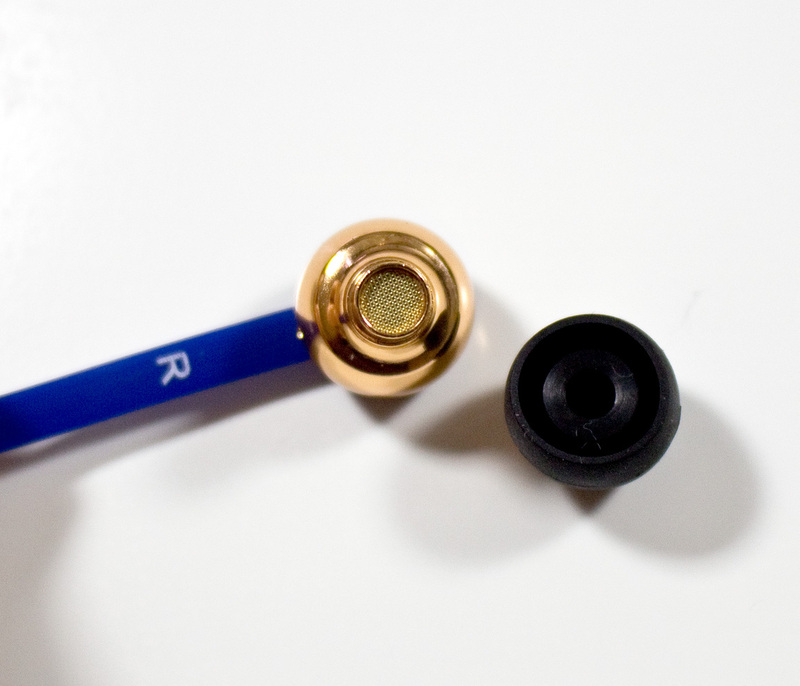 These ear buds are very friction fitted to the speaker base and they are a tight fit over the speaker. I'm surprised at how small the speaker is with considering the sound quality. 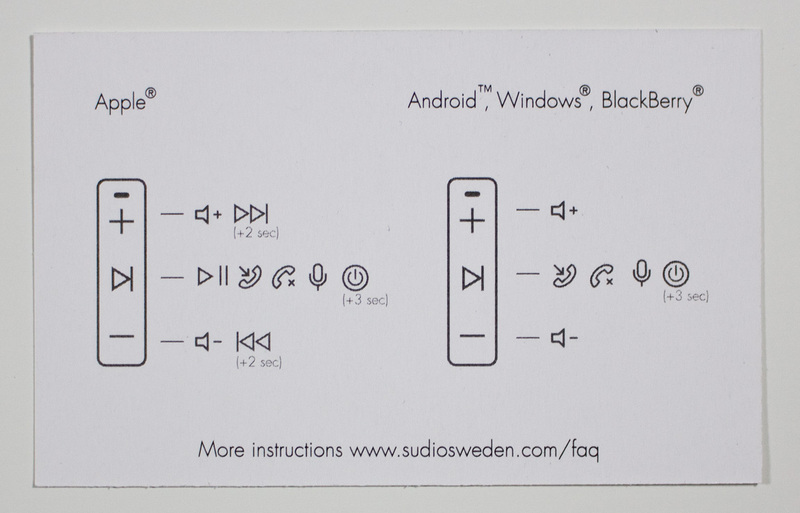 The control has a +(plus) and - (minus) button for volume or skip options depending on the device you use. 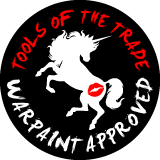 The >| (play stop) button control everything else you need. When you power up and down there is a ramping audio cue to indicate what you are doing. 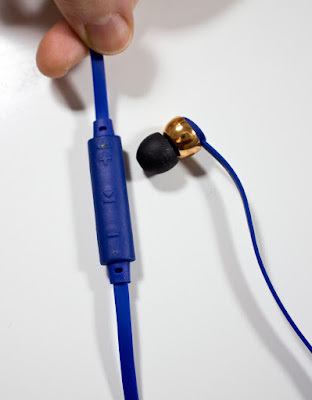 When the earphones connect to the device you also hear a beep. Vasa Bla Charger next to earphone. 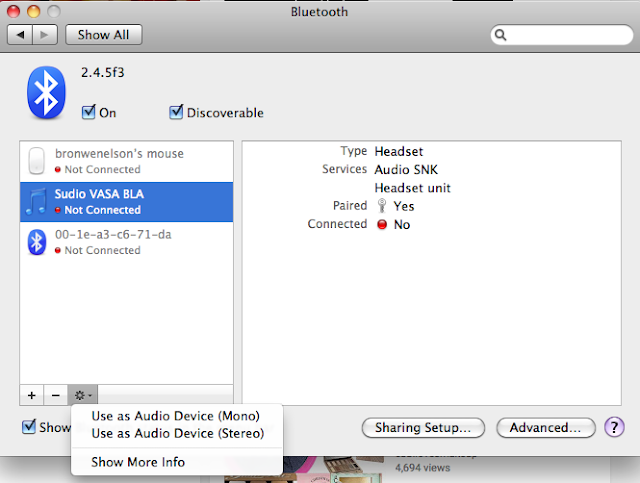 Vasa Bla charger plugged into the battery side. The battery is not heavy at all and balance with the control on the other sized. Battery life is listed as 8 hours (active), and 10 days (standby). And 8 hours is about the time it takes to run down the battery with continuous use. Once the battery runs low you earphones started to beeps with a red light to indicate that you need to charge your earphone. The Bluetooth range is stated as 10 meters and it does shut down if you walk too far away from the device you are connected to and beeps to let you know. Honestly, I'm not a techno-savvy when it comes to audio components. That said the sound is so much clearer than what other earphones I've used and my computers can put out. I can also hear more clearly some details in notes in music scores I've listened to and music in youtube videos and online videos I've been watching as well. 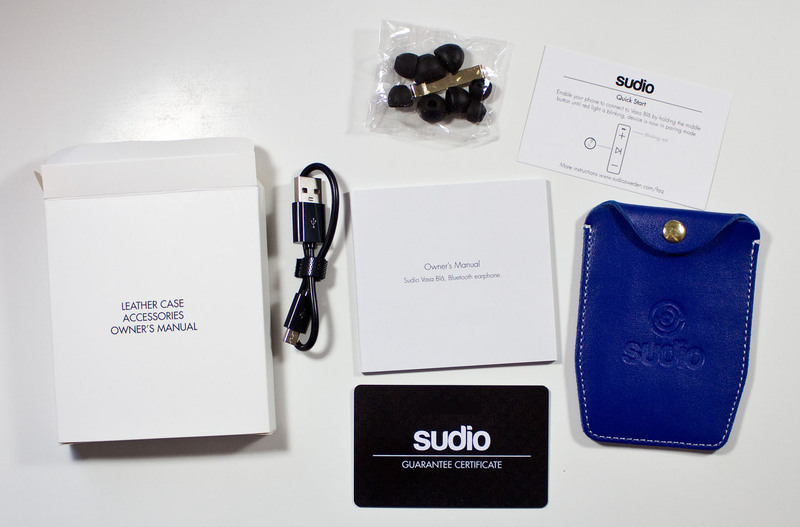 Sudio Vasa Bla accessories with 4 sizes of ear plugs, metal clip, quick start card, owners manual, quality assurance card and leather case. 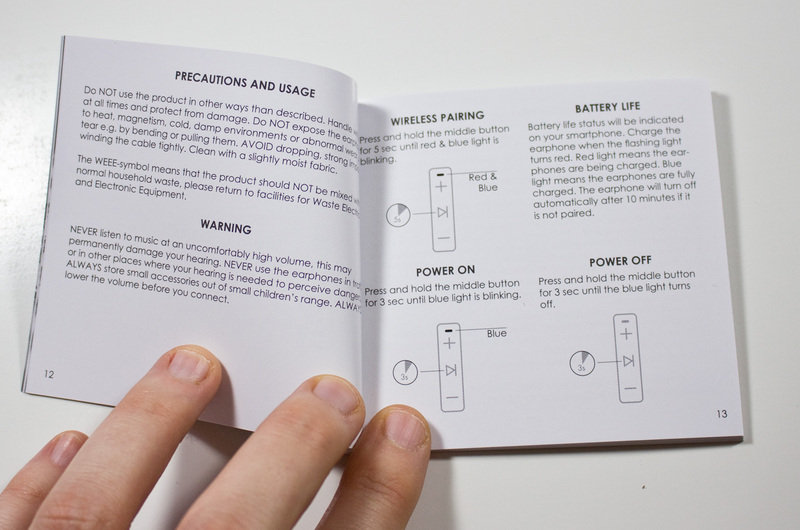 I actually found the Quick Start sheet more informative than the owners manual which is a shame because the owners manual only has I page spread in multiple leagues that just explains the light indicator that makes up 80% of the booklet. The rest is a company/product story. You also get a custom number owners card just in case something happened to them within their 12 month warranty time period. I have used the other size ear plugs yet but the fact they come in 4 different sides is really nice. 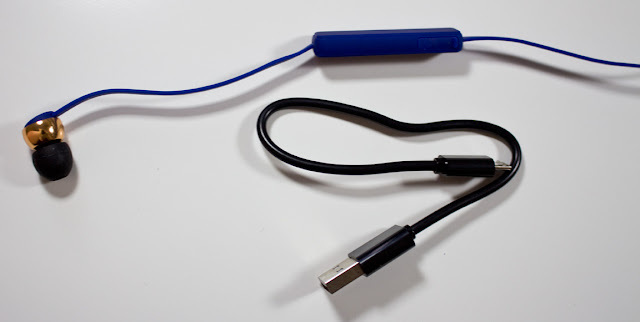 The metal clip seems way to tight on the cord section its self that I recommending prying open slightly to not damage the flat cord. Sudio colour match leather case. 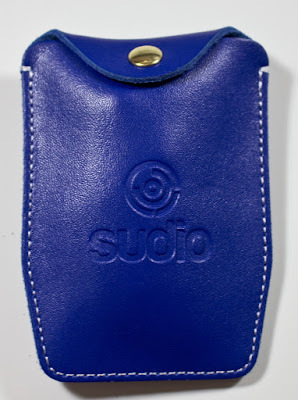 The Genuine Leather Carrying Case is simple for sure but I can house both the earphones and charging cable. 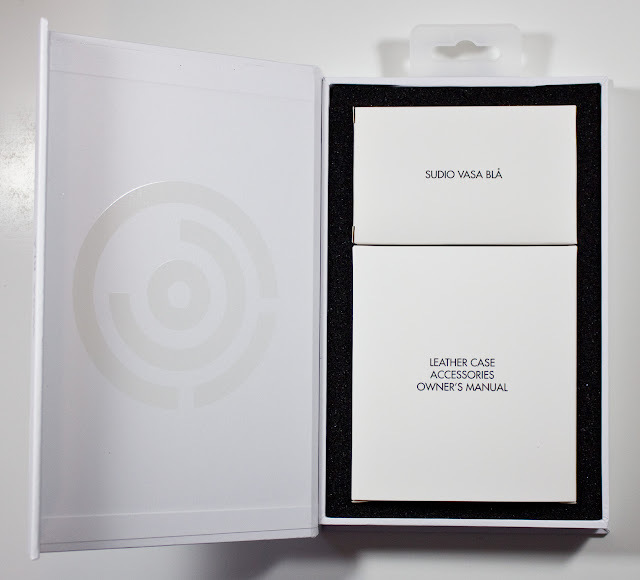 Sudio Vasa Bla Back of Box. Sudio Vasa Bla when you open the box. Sudio Vasa Bla taking out the product. The box 100% remind be of a MAC started case. 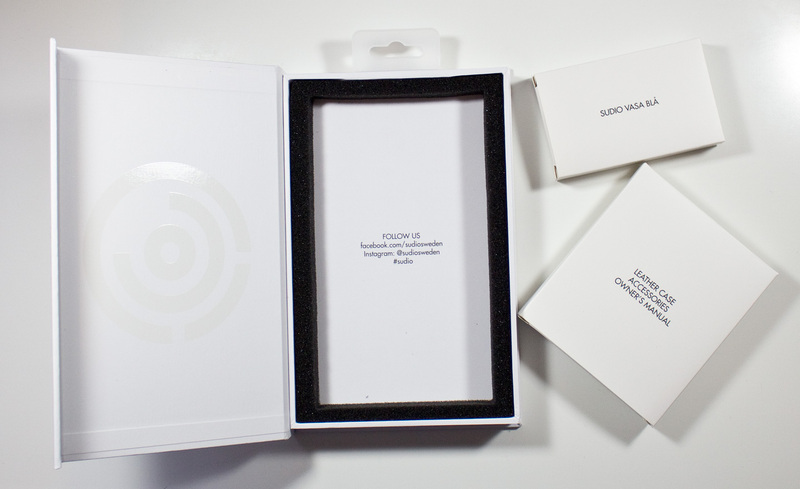 The box is sturdy with a magnet flap closure and foam padding. The products come in 2 simple card stock boxes as well. I not one to buy expensive technology peripherals like earphones but this on impressed me wth it's comfort of use and audio quality that I could hear. I also shocked as to how much the cancelling out sound while wearing them. 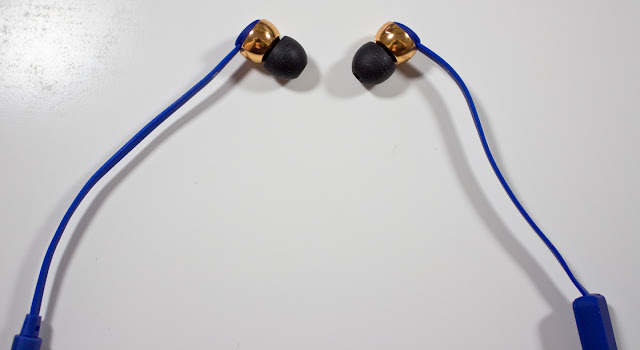 They are not 100% noise cancelling but compared to other sets I've used I could not hear anyone talking unless they are next to me, or in most cases behind me and making me jump. Where or not you looking for a good headset that runs under $150 is up to your budget, but now that I've tried these I would be heavily inclined to pick them up again.